Once in a while I make something and feel like it just needs a little extra zing. Perhaps I chose a fabric that didn't thrill me, often this happens when it's something that many would consider a wardrobe basic, in a neutral color. For me that often means I'm not so enamored of the item. Wardrobe basics are just not my idea of fun sewing (or wearing). 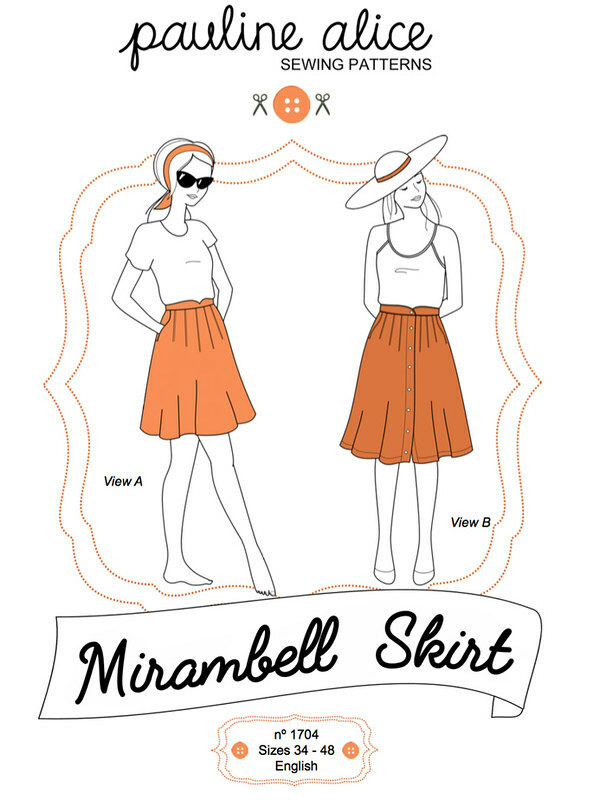 So recently I made the Mirambell skirt from Pauline Alice to test the pattern for her. 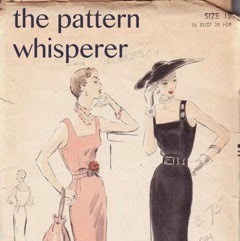 She is my favorite independent pattern designer and I have never gone wrong with one of her patterns. However I was perilously close with this one. Cut to the chase - I think it is so pretty! 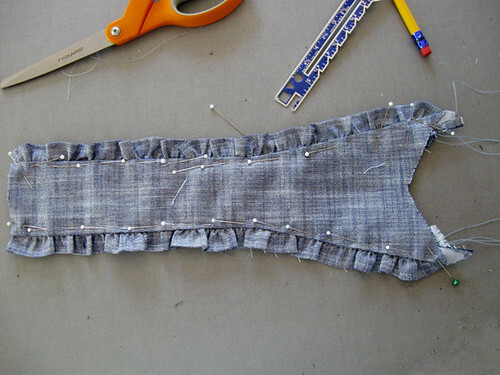 I am actually in the process of making a couple of tops to wear with it - because I know I will want to wear it a lot. Look, I make something in black! that I plan to wear immediately. Perhaps I can see why separates in neutral tones are a worthwhile item, as they can go with other things in the wardrobe. This skirt is really cute! 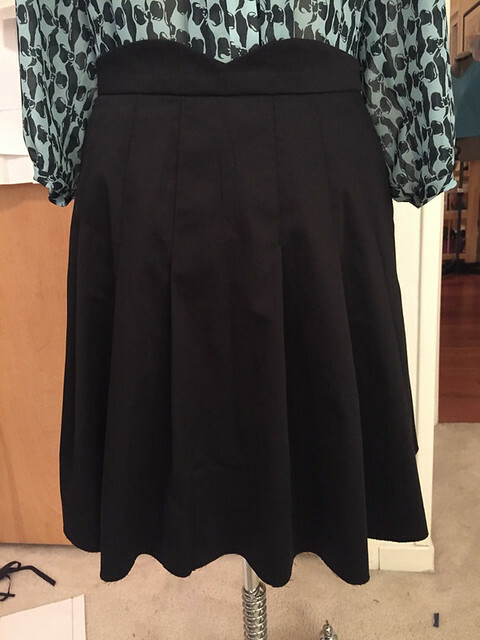 And it has lovely pockets which are ideal for a full skirt like this. It comes in two different versions, the one I made is View A, which has a center back zipper that goes up to the top of the waistband. View B buttons at the center front. I think in a soft rayon print the button up version would be really cute and summery. I never really pay attention to the length of patterns, as I don't wear longish skirts much (ever) so when I cut this out I used some black cotton sateen I had in the stash, and chose a length based on some other skirts I wear (shortening the actual pattern pieces since it was going to be a test of sorts) The pleats and pockets sewed together perfectly. However - it seemed a bit short - no fault of the pattern, entirely my own. So I send off my report to Pauline with some notes about pattern markings and then it sat on my dress form, without being hemmed. Cue the inspiration of Instagram, I saw a picture my friend Laura Mae posted, and had the idea to put an eyelet border at the bottom. 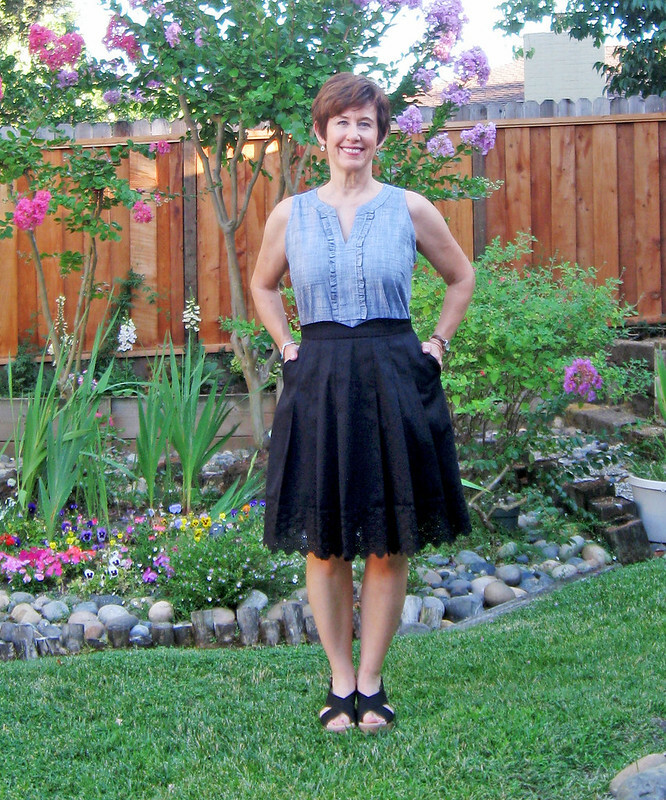 I love dresses and skirts with a wide contrast border at the hem edge (I keep planning to make a dress like that) and I had a piece of black eyelet so I cut a long piece about 5 inches wide and basted it on for a look-see. And I was sold. 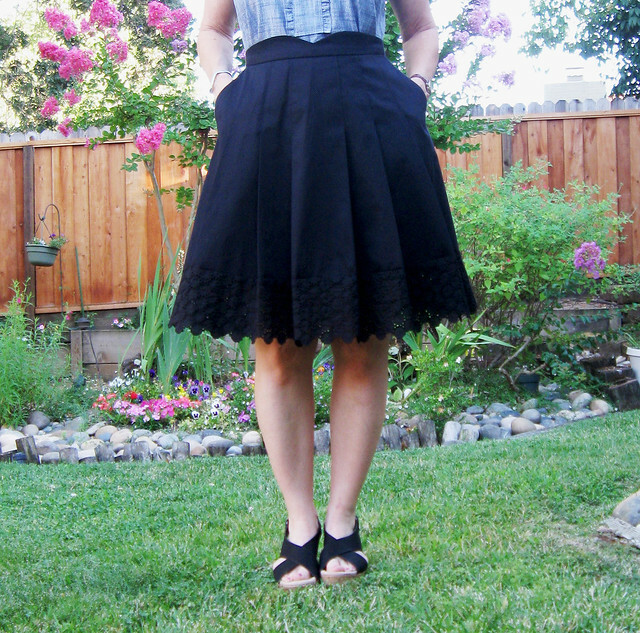 In fact I cut off about another two inches of the skirt, sewed on the eyelet band and then played around with the length. 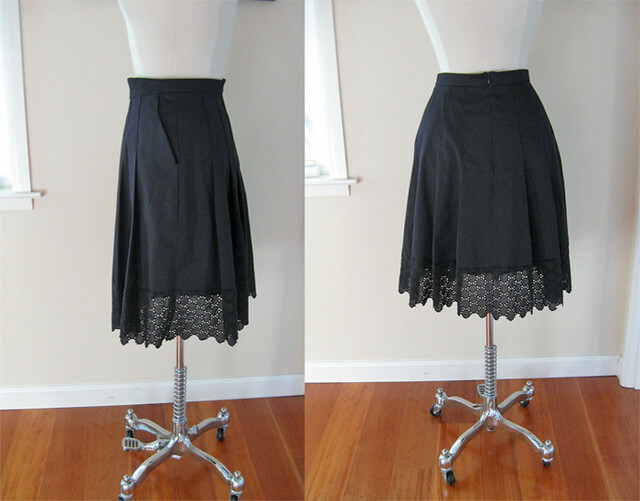 For this type of skirt it should be on the longer side, and then I wanted a good bit of the eyelet at the hem border. 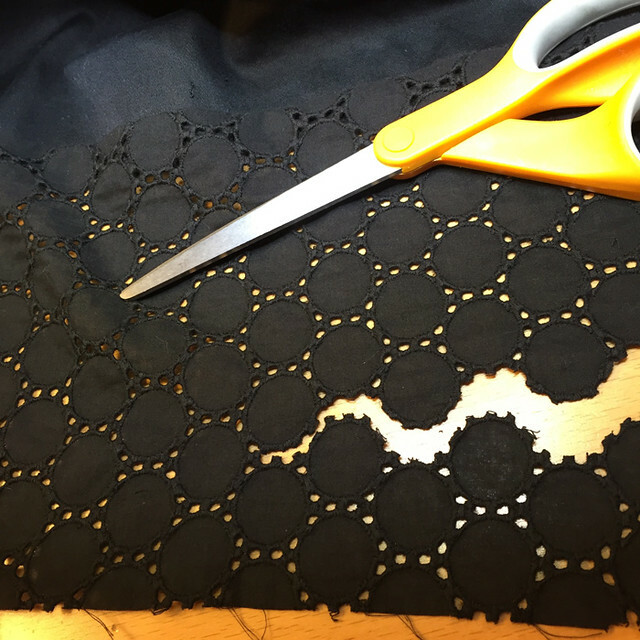 My fabric has a lot of body since it is a cotton sateen, and then stitching the eyelet which is rather stiff on the edge means that this skirt keeps this A-line shape. I think if you used a softer fabric like a woven rayon it would be really nice and flowy, a completely different look. Extremely dorky picture so you can see how wide the skirt is at the hem. 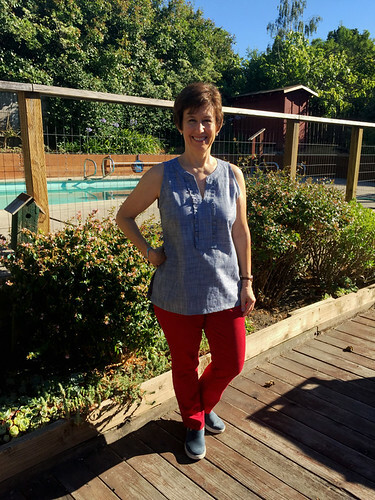 That top is not the best with it as the placket comes down too near the waistband - but I have corrected that situation by making an eyelet top in a fantastic color - will post soon. 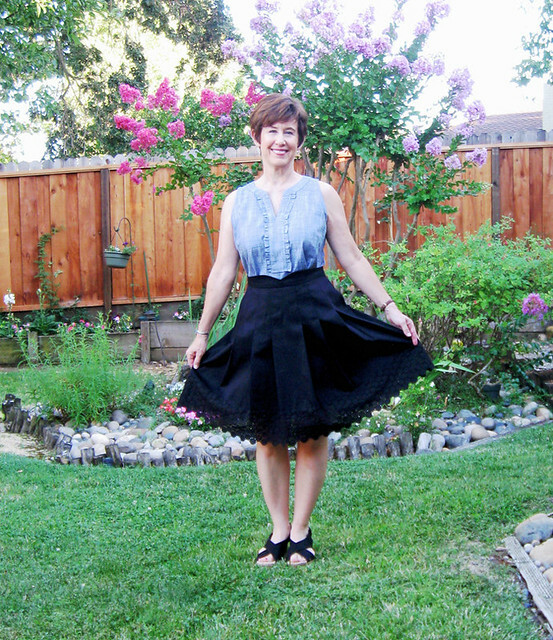 This is how I hemmed the skirt - with my scissors. So liberating. No stitching just slicing. And if you look at Laura Mae's you will see she cut hers differently, so that each little circle has the smaller circles still attached, whereas I cut off the edge at each large circle. And that was difficult enough to do. Later I looked at her IG again, and tried on a scrap to do it as she did, kinda difficult. On the plus side, this eyelet is very on grain and straight so both sewing it on and then trimming it was very straightforward, as long as I stuck to a specific row of circles. 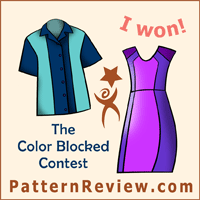 So that's the latest Pauline Alice pattern that has become a wardrobe success! I love it and will try to find some softer fabric to make a very different version. For the other Pauline Alice patterns I have sewn, here are the links. Alameda Dress - for a wild print I wear this surprisingly often. And the skirt by itself a lot. It is so cute - she is really good with the feminine details. Saler Jacket - I was amazed at how often I wore this jacket last fall. I made it at the beginning of summer so it wasn't really the right season for a wool blazer but when October arrived I wore it all the time, perfect with jeans. I need to make another one, I'm thinking stretch wool. I really recommend Pauline Alice patterns. I rarely make any indie patterns, mostly because they often look the same to me but Pauline adds a lot of details which make them fun to sew and wear. 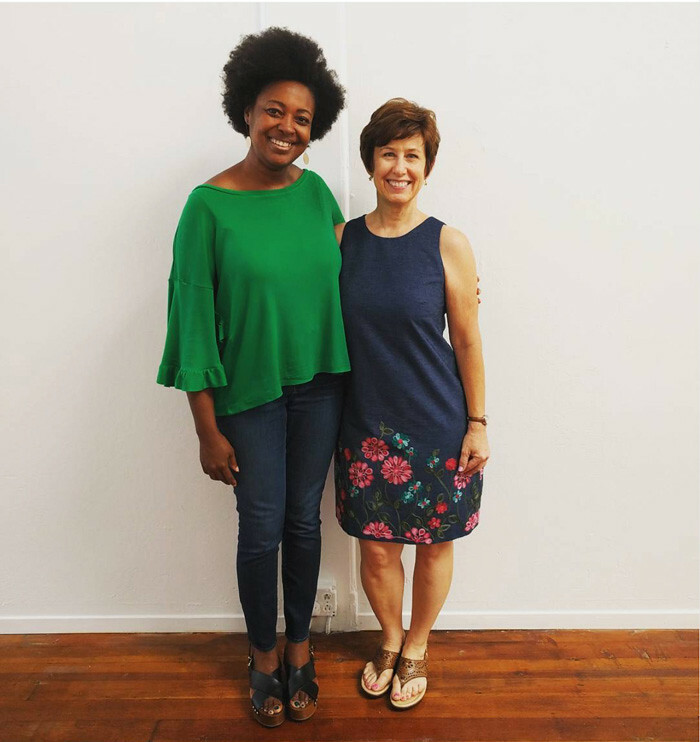 Quick update on classes for those of you who have made it to the bottom of this post - we have just scheduled a bunch of classes at Hello Stitch for September and October, including...the Weekend Jacket Intensive. I am SO excited to do this class - and show a mix of modern and traditional techniques for great results on tailored jackets, or coats. Sat. Sept 30 and Sun. Oct 2 with the studio available on Friday evening for prep, cutting out, etc. We are going to make a fun weekend of it with food, interfacing kits etc. I don't think it is listed yet on their site - will be very soon. But if you have any questions just email me directly. Tomorrow evening is the first session of my button front shirt class - which also will be repeated in October. Plus a few other things on my calendar so I better say bye and get some sleep. 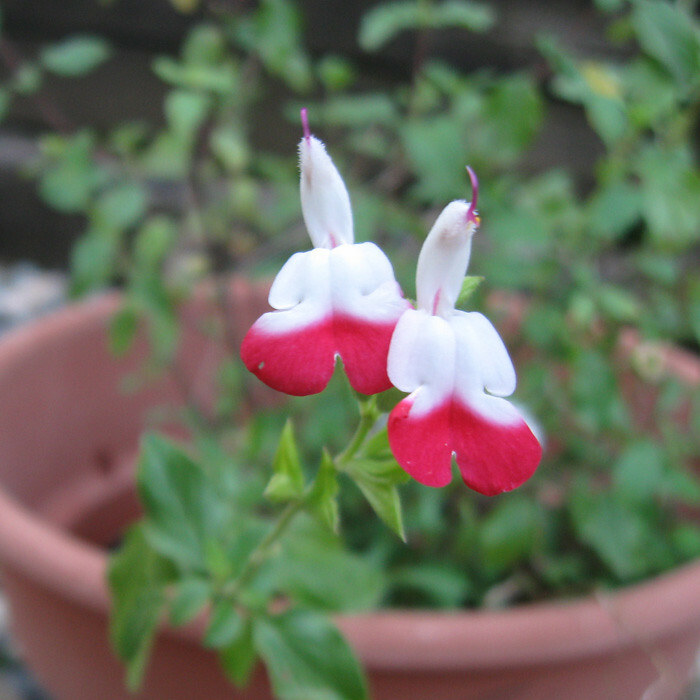 today's garden photo - this salvia is called "hot lips". It's looking a bit spindly now, I think I will move it to a better location when it cools off and starts raining....which seems very far away from today's vantage point. 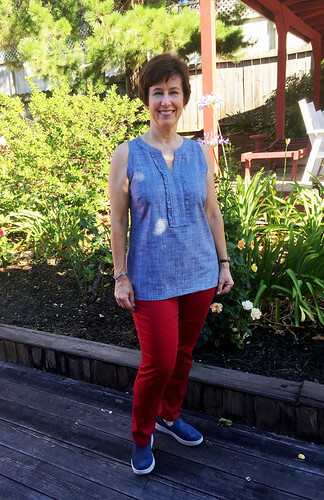 The summer of denim continues! 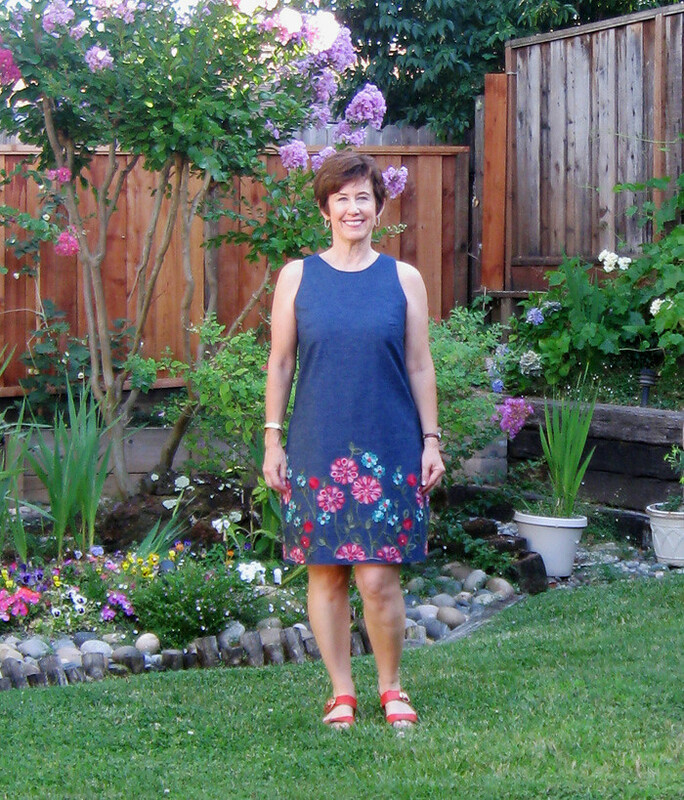 This dress is my homage to the Summer of Love - which started right here in the bay area. So I couldn't pass up this fantastic denim embroidered with flowers, in the ever-elusive border print. At least elusive to me, I'm always looking for good border prints and they are rare. 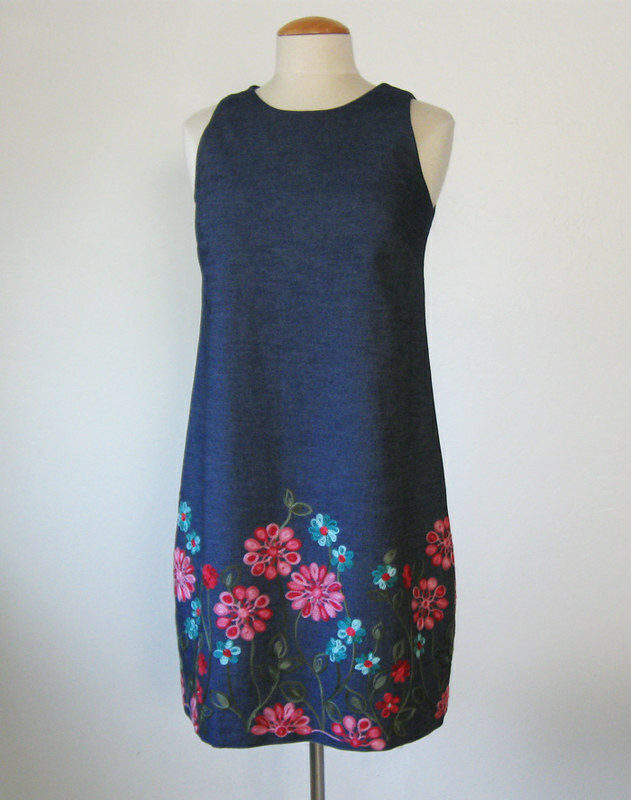 I had taken some pictures against a plain background but this dress just calls for more flowers. The fabric is from Stone Mountain in Berkeley, and they had several variations of the fabric. I bought the one without any yellow, as I just liked the pink and turquoise with green stems on this one, but the other ones were nice as well. The embroidery is just on one selvedge, so I had to cut on the crosswise grain, which made no difference in this tightly woven fabric, it's halfway between a denim and a chambray in feel. Plus I didn't have to buy very much, just enough to go around me plus seam allowances so I think I got about 1.5 yards and I still have a lot left, mostly of the solid blue, since it is 60" wide. Dress form view. Can you recognize which pattern? Some sewing details, I decided to line this dress, partially so it would wrinkle less. I decided to make the lining attach to the facing (which I made in the previous post on this dress) as an example so I can show it at my dress class at Hello Stitch. This dress reminds me so much of things my mom had in the late sixties, she had some really cute shift dresses with embellishment, I remember a white one with flowers like this that ran from hem to shoulder on one side, and a black one with geometric squares in shades of bright pink and orange. Very mod! I think we had some kid's versions as well. 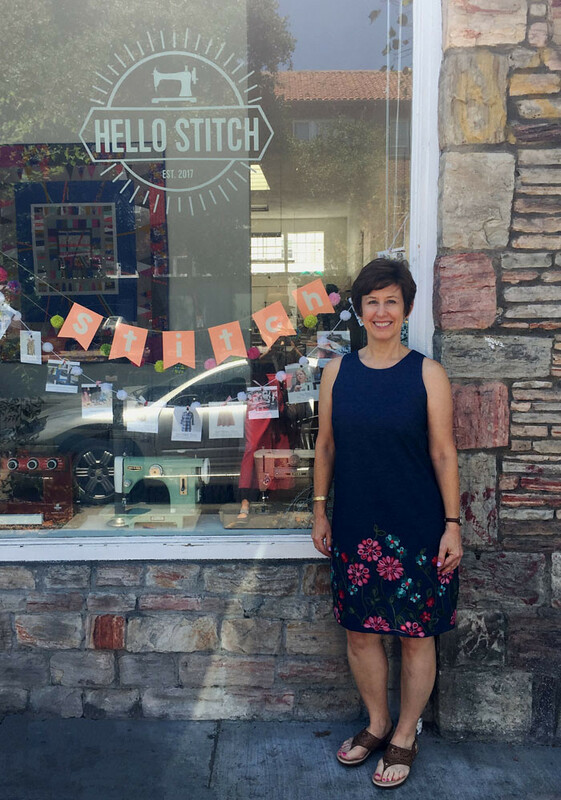 I have already been wearing this dress out and about, so I took this picture in front of the window at Hello Stitch, with all the sewing machines. and their sitting area. It's really nice to sew there and then take a break, sit on the couch, chat with whoever is around. A nice change from my mostly solitary sewing! If you look closely you can see Chuleenan of CSews.com reflected in the window as she took the picture. 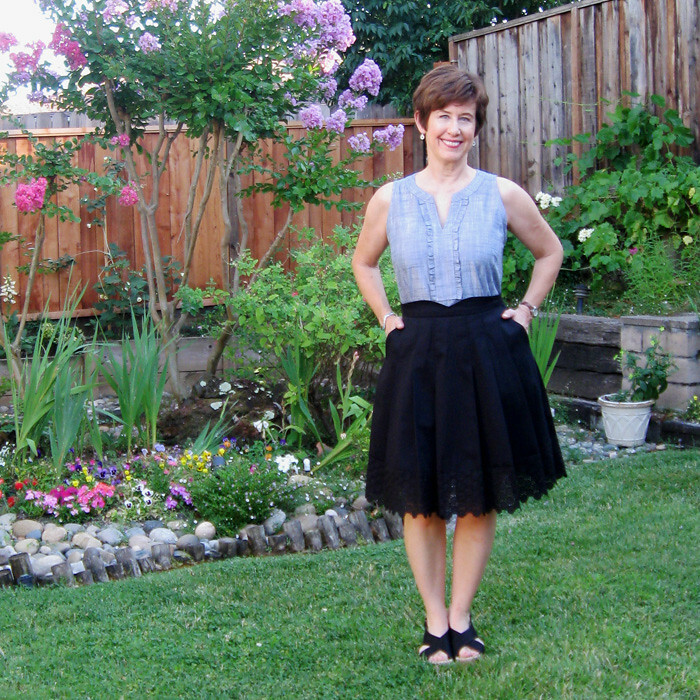 She is the organizer for our Bay Area Sewists Meetup group and she does such a great job arranging interesting topics and events. One of the best things about the Meetup group is that I get to see my sewing friends who are all across the bay area. Even though we are in the same locale to traverse from one end of the bay area to another can take hours depending on the day and the traffic. So it is a treat to see my friend Pauline, (who is @sewuthinkucan on Instagram). If you love stripes you should follow her. You should follow her anyway! I call her the Queen of Stripes. She is on a roll this summer with interpreting things she sees in retail and making her own (better) version. Anyway - it is great to see her and we end up talking a mile a minute to cover everything we need to discuss! So that's it for this flowery summer dress - it is my new favorite - until the next new favorite, right? Up next, hmmm, I don't really know. I am knee deep in making things for others. 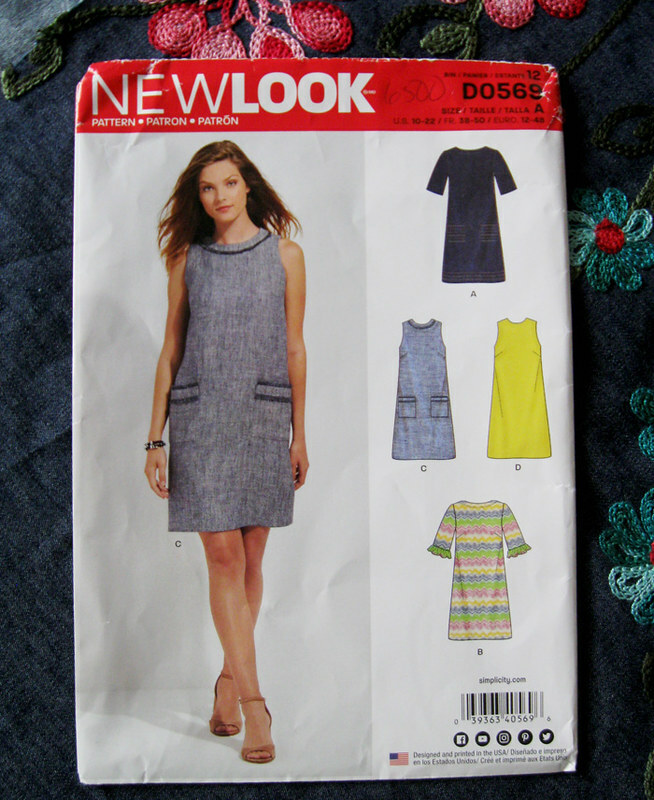 Including the Charlie Caftan from Closet Case patterns, for someone else, so I will have lots of info on how to do a full bust adjustment on that, add a dart, change the armhole and keep the style but make it look good on any size. 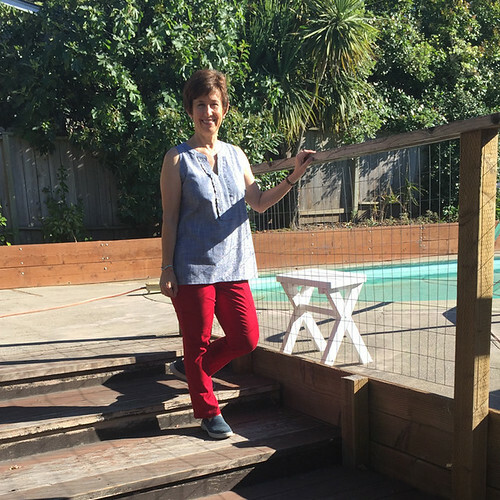 Classes at Hello Stitch - next week starts my two-part shirt making class on Wednesday evening, I think there are a couple of spaces available. You know I love to make shirts - so rewarding, so many fiddly details that am excited to show. 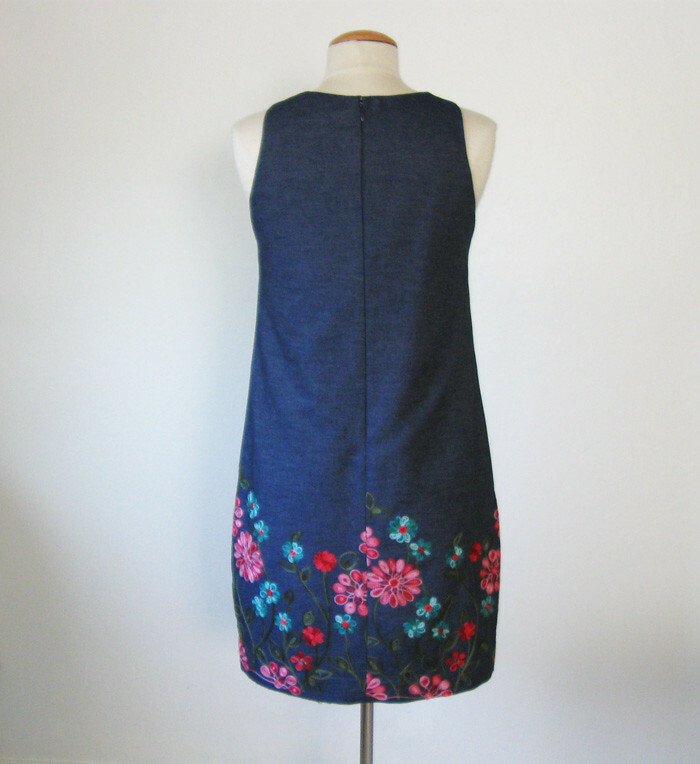 Sunday July 30 - one day dressmaking class. Sun. Aug 19, Fit Lab, I think there is only one space left. 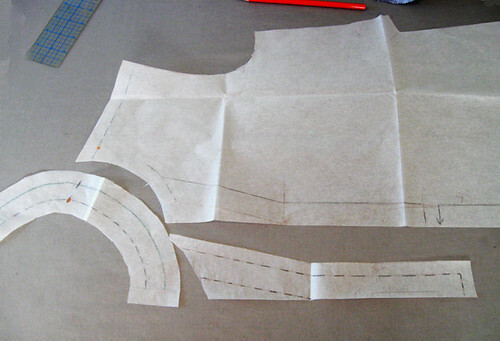 Jacket making - you know this is the one I am excited about - we are planning now. If you are in the bay area, reading this and would be interested in doing a jacket class, probably starting mid-late Sept or early October, please email me as I have some questions on how to structure the class and would love to discuss. 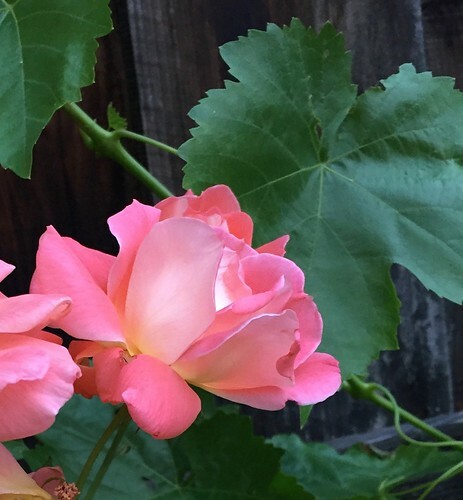 today's garden photo, a very old rose with small blooms that I kind of want to pull out and replace with something grander - but oh, this peachy color is so pretty. This is one of those projects where I finish it, take some pictures, take a look and think "it looks better on the dress form than when I wear it." Perhaps taking photos in the bright sunshine wasn't the best idea - but hey it was 4th of July and I had a barbecue to get to! Or maybe one of those items that looks better in real life than in the photos. Actually I think that is it. Although my sister did give me one of her quizzical looks, and say "hmmm, is that sparkly?" Why yes it is. And her opinion was fairly evident in her tone - not a fan of my new sort-of sparkly top. This was a case of off of the sewing machine and onto me. So I will play around with other things to wear it with. Perhaps even tucked into a skirt. Here's the dress form view. This fabric is something I looked at on more than one occasion at Stone Mountain, and finally decided to buy 1.25 yards to try and make a top of some kind. Not really sure if it is ideal for garment sewing but I washed and dried it and it softened up quite a bit. They also had it in a couple of neutral shades, kind of flax or linen colors which were interesting. Inspiration for this top was something I saw at Talbots one day. And they send SO many catalogs in the mail...I should tell them to stop although it is useful to be able to tear things out and stick on my bulletin board. Some sewing details. 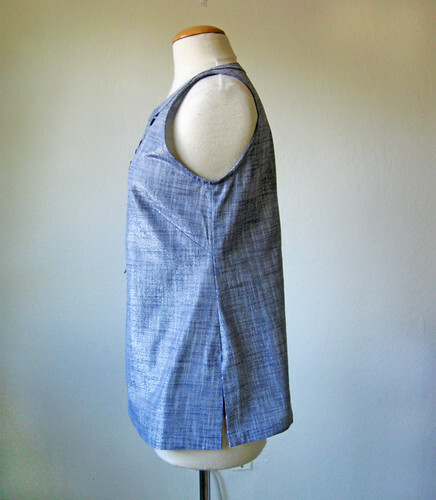 How to get a tunic top out of 1.25 yards of 45" wide fabric: creative folding, which is something I do all the time. 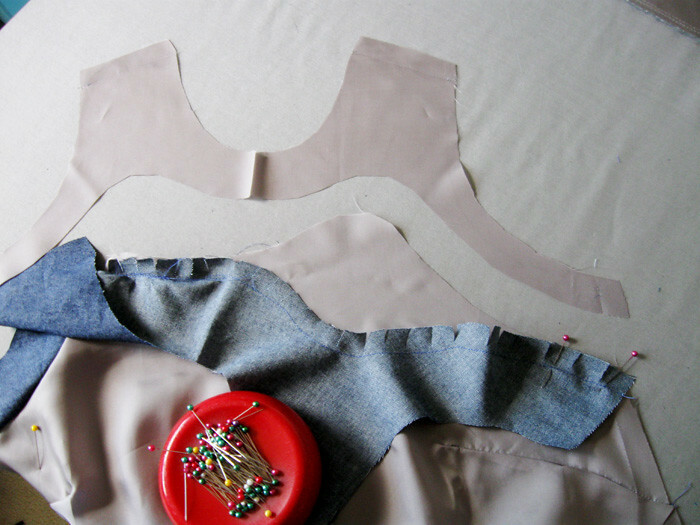 Since this fabric doesn't have any nap or direction you can reverse the pattern pieces as shown. 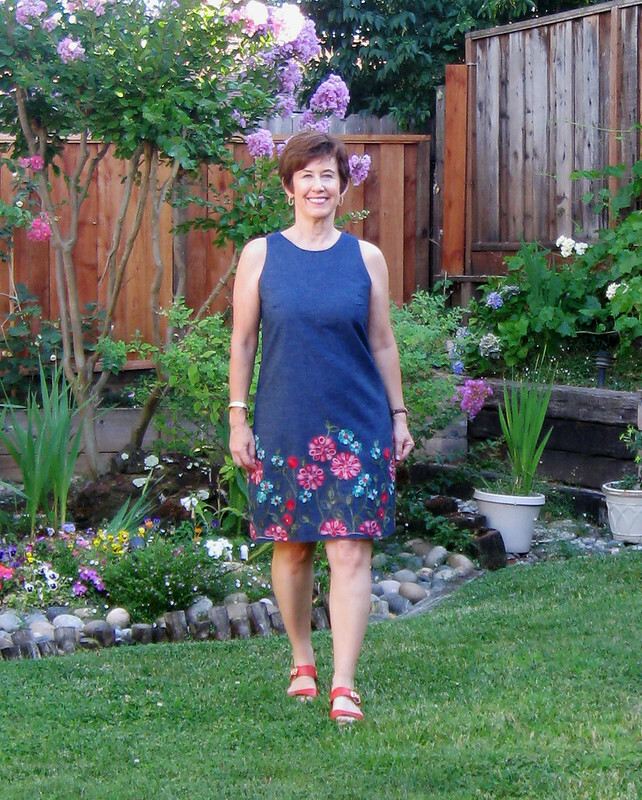 I used my basic tunic top pattern (an oldie, New Look 6677. blue eyelet version here and silk version here). I made copies of the front and back and then enlarged the neck opening a good bit, as it is kind of higher up than I would want for this version, since the original has a collar. Aligning the shoulder seams I made the neckband portion, and then for the front placket I just winged it based on some other things I have made. 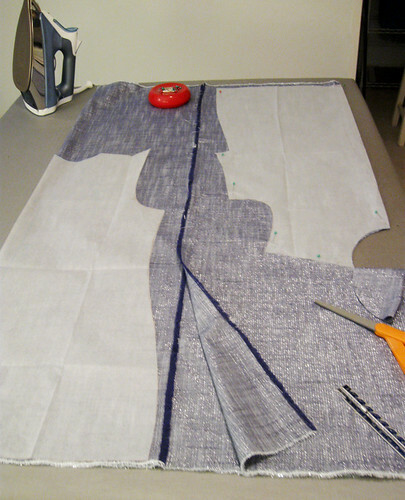 First I decided on the finished placket size and shape, and then added the seam allowanced. I decided to determine how long to make it once I tried the top on. 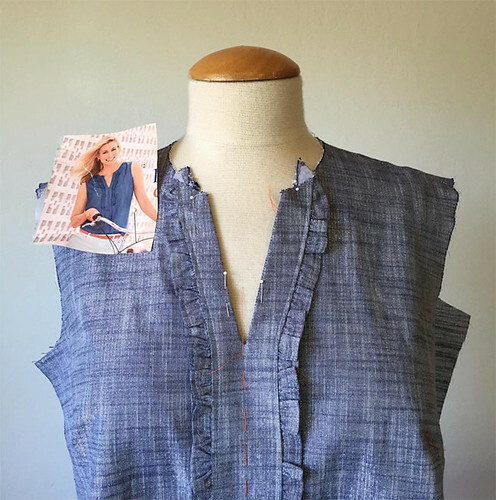 For more info on creating this type of placket I wrote 2 posts for Craftsy a while ago on how to make a tunic top, part 1 and part 2 here. On the top I saw at Talbots the edge on the placket was pleated, and I tried to do that but this fabric didn't want to cooperate - it was just too bulky. So I hemmed one edge of strips and then gathered it onto the placket. I sewed it on once I got it to look even on both sides. After sewing the placket onto top - right side to wrong on the inside, I cut the front V and then flipped it to the outside and stitched it down. Same technique I use on most tunic style tops I've made in the last few years. 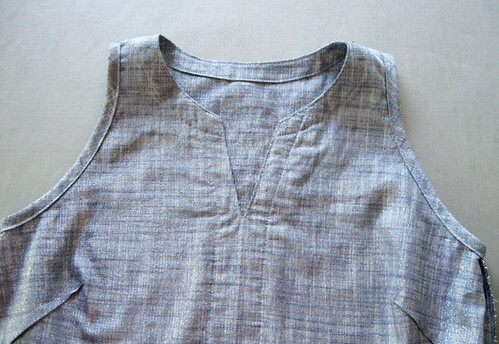 Next, same idea with the neckband, stitch on right to wrong on the inside, then trim and flip to the outside. For the center edge I wasn't quite sure how I would do that, this is my improvisational sewing so I just wing it as it go. 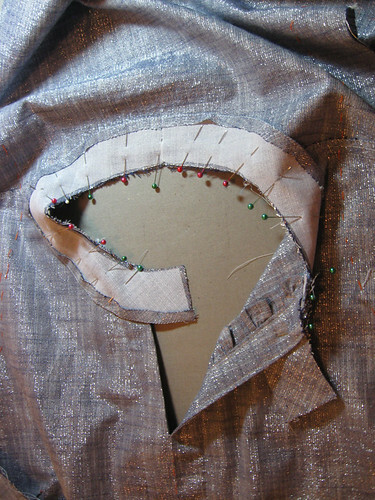 In this case I trimmed, tucked the edge under and hand stitched it to hold in place and then topstitched all around. The armholes are finished with bias binding. I am including this photo so you can see just how sparkly this fabric is. And why it is ever so slightly scratchy, around the neck - after all, metallic threads. Now that I am looking at these images I have decided that this is too long - it should be more like a top instead of tunic length. I might take it in on the sides just a bit also. 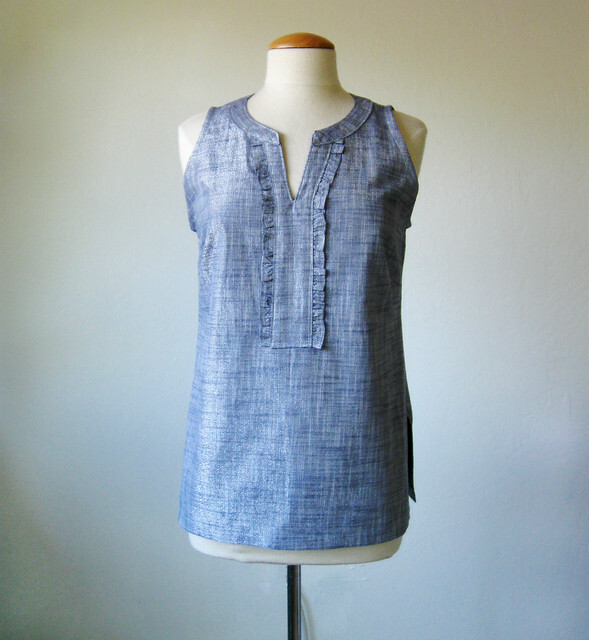 The fabric is slightly more stiff than plain chambray would be - all those metallic threads provide a slight aluminum foil quality :) My other versions of this top have been in silk so a lot more flowy and they drape better. Insides. I do really like this method for tops where there is no facing or anything on the inside, a very neat finish. 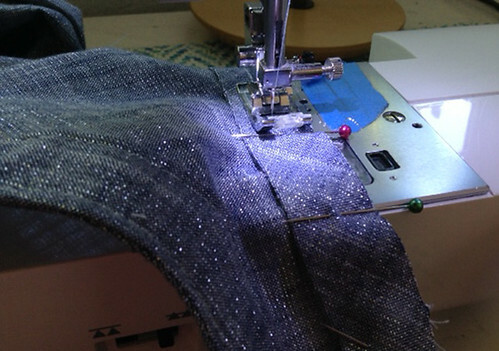 So that's it for my sparkly chambray top. I think with a few fixes it t will be just right with some white jeans. Today was another of our glorious (ha ha be careful what you wish for) 104˚F days, so I spent the afternoon at my parent's house swimming in the pool pictured above. And though about how as a teenager would get out of the pool, go into the boiling house (un-airconditioned in those days) to finish sewing something that I just had to have for that evening's social event. Can I say that made me the stitcher that I am today? Or just that I was cuckoo for sewing? Some things never change - but I'm glad for the AC now on a day like today. 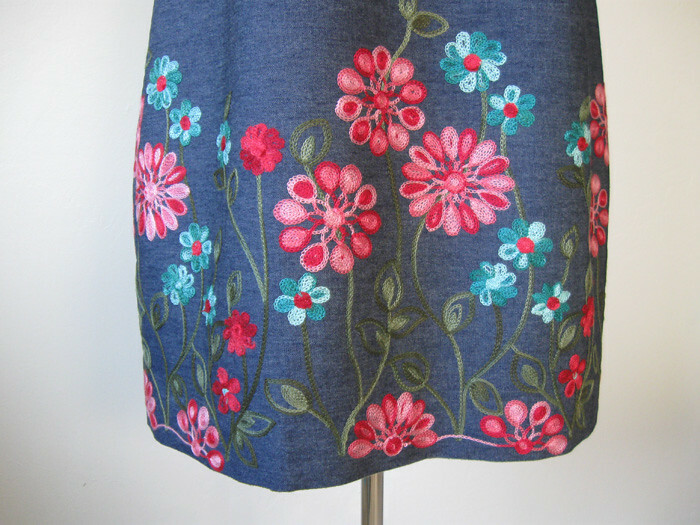 Up next - my sewing for the Stone Mountain Fabrics Summer of Love theme. Check out this blog post to read about the history of this wonderful store and also the Summer of Love. I absolutely love what I made with a special fabric which I got there recently so I'll post that soon. Stay cool everybody - enjoy the summer sewing as well as all the rest that summer brings. 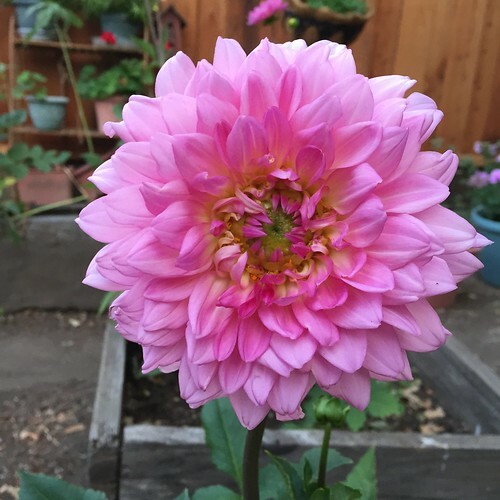 Here's today's garden photo - it's dahlia time so another one for you.